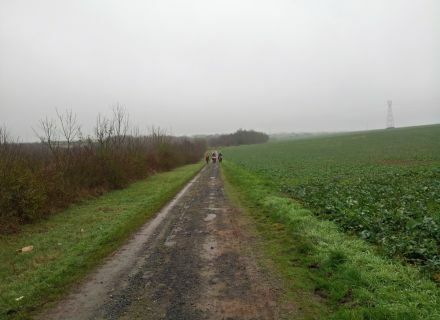 On Tuesday morning of January 6th, 2014, I go to Saint-Rémy, in outskirts of Niort and in border of the Marais poitevin, further to Laurence Robert's invitation, who manages of the Equestrian Relay Equinox. 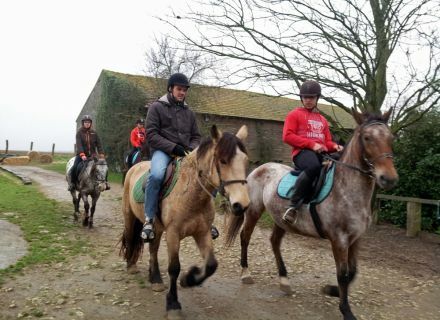 Laurence suggested me making me discover the enjoyments of the pony trekking. Brilliant, I never rode ! Before leaving, it is necessary to prepare horses. A rider shows me how to groom a horse. 3 brushes are going to be used to clean the dress and give him a beautiful appearance : a currycomb (to remove hairs died from the horse), a brush lasts (to remove the dirt and the hairs which the currycomb could have deposit) and a soft brush (to remove the dust and the hairs which are on-surface). We clean out then hoofs with a cure-foot to remove pebbles, dust or quite different foreign body. We install then the saddle and the reins. The horse is ready ! Laurence presents me then the mare on which I am going to make the stroll : Réglisse. 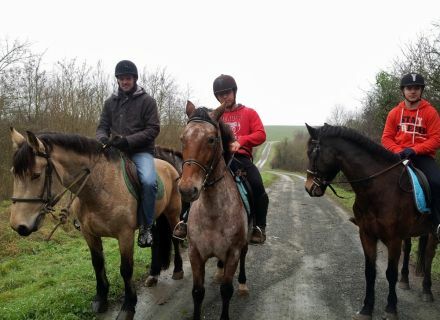 Réglisse is a "local product", stemming from a crossing of a mulassière mare of Poitou and pony New-Fast. 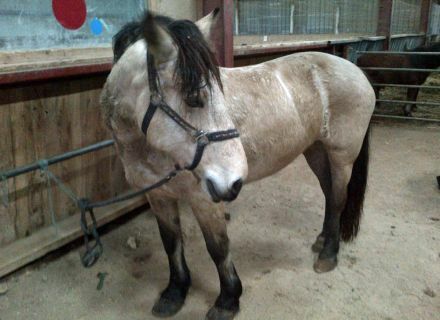 Réglisse is a mare of 7 years which was born in Vienne départment (breeding of Arquentan). Her origins confer her a robust stature, combined in the more "sports" characteristics of the father. This mare of a docile temperament is thus very versatile. The introductions made, it is time for me to get on my mount. 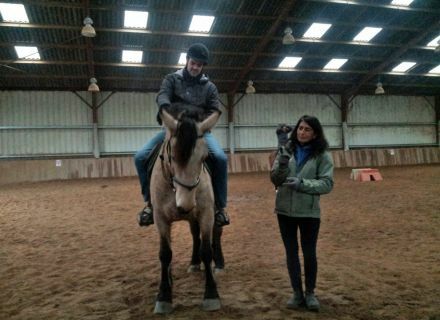 In the riding school, Laurence explains me the technique. We rise of the left-hand side of the horse, the left foot in the stirrup, the left hand at the bottom of the mane, then we grow on out right leg by revolving to make it pass of the right-hand side of the horse. I reach of the 1st blow there, too easy ! Laurence verifies then if stirrups are positioned well, and explains me how to hold reins and how to manage my horse. Manage the right rein towards the right to turn right, and manage the left rein towards the left to turn left. OK, that seems simple… I can now apply these advices in the riding school before the departure of the ride. Some knocks of heels on the sides of Réglisse have to take forward her. Normally… Réglisse seems to test me. She makes some steps then stops. She does not look too much decided. We gather finally with the other riders for the departure. 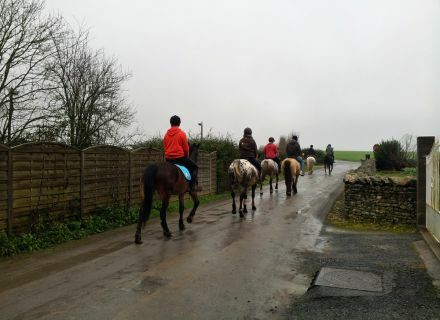 We shall be 6 all in all to ride in the countryside surrounding. Here we go for the stroll ! Laurence leads the group, in the step. We are 2 by 2, side by side. 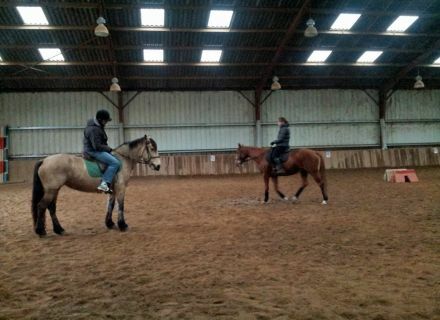 I am next to Axel who indicates me the postures to be held on my horse. 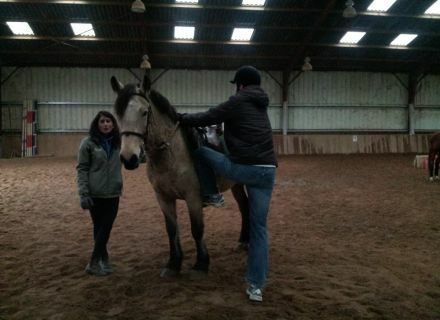 Seeing the ride went well, Laurence suggests me trying the trot. Horses take then an a little faster speed. That shakes ! We learn me then to follow the movement of the horse and to make "standing-seated-standing-seated)" by growing in stirrups to take off from the saddle. At once, that shakes less ! Our stroll continues by alternating speed in the step and speed at a trot. We travel paths surroundings, meeting some walkers with their dog, following the recent plantations of truffle oaks or crossing groves in essences varied by attractive hollow roads. After approximately 1 hour of stroll (that passes fast), we go back to the Equestrian Relay Equinox where we meet a group of disabled people which leaves for harness with ponies. 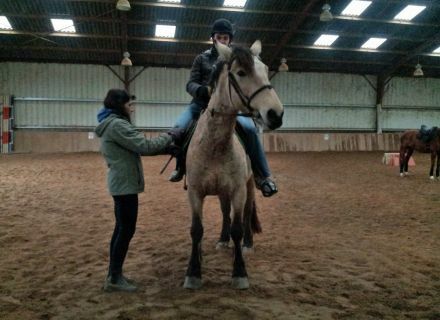 Of return in the riding school, we attach Réglisse to deprive her the saddle and groom her again. This time, I do it alone like a big boy. I leave then my partners of stroll, after a last pat and some caresses on Réglisse in the shape of thanks. The Equestrian Relay Equinox is opened all year long. 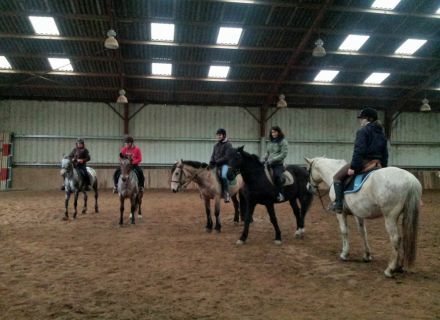 It is directed around the learning of the riding, at any age, for the leisure or for the sport. Relay Equinox also welcomes handicapped persons, as well as diverse leisure centers. Thanks to bank-holidays or holidays, the cavalry of Equinox takes the shrubby paths and leaves so for one hour, one day or one week in the discovery of the environments and the territories of open air (Marais poitevin, the seaside…). 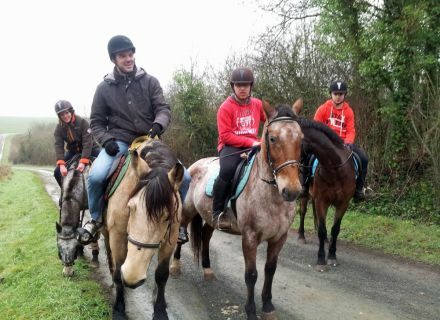 Laurence and her team of young riders will know how to share their passion for these Equidae, all very charming. Tempt yourself, you will not regret it !